First off, Peter and I spent the majority of our time in Peru in a very expensive area: Miraflores in Lima, Peru. Since this area was so fancy, we often spent much more on food and supplies than we would in most other areas of Peru. A typical lunch or dinner out would cost anywhere from $6 per person (for fast food or sandwiches) to $20 USD per person (for a full sit-down meal and a drink). We didn’t drink alcohol while we were there, so that substantially helped our budget. Our hostel in Miraflores cost $13.50 USD per bed each night, but you can find cheaper places for as low as $10 USD per bed. 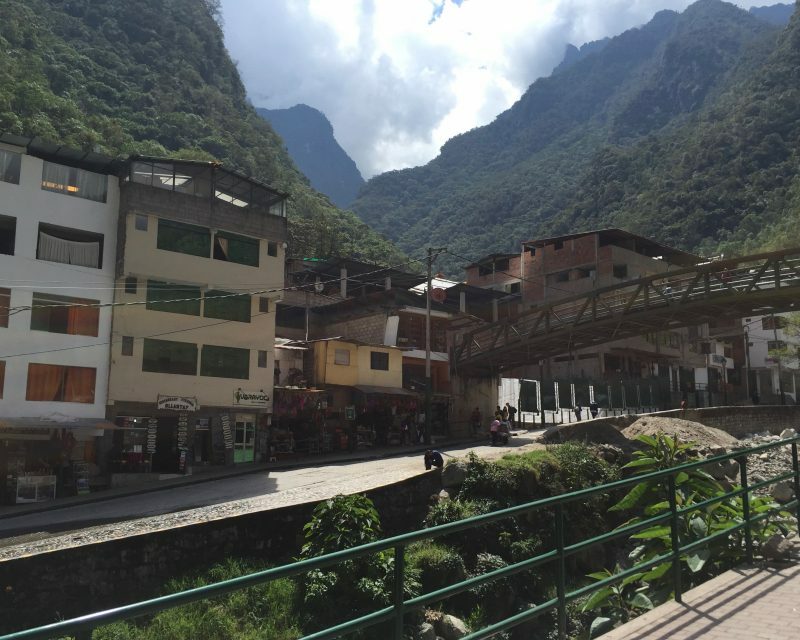 The only place that is more expensive than Miraflores is Aguas Calientes, which is the tiny tourist town at the base of Machu Picchu. They know they have a captive audience, so everything is much more expensive. Expect to spend at least $11-$20 USD per meal for lunch or dinner and more for bottled water than usual. We couldn’t find an actual hostel there, so we got the cheapest hotel room we could find for $40 USD. Although this is expensive accommodation by Peruvian standards, it’s very cheap for the U.S., and we had a clean room on the river with a great view of the mountains and breakfast included. Cusco is another town you’ll find yourself in if you’re headed to Macchu Picchu. Although this is also a common tourist destination, the prices seem to be more in line with the rest of Peru. A typical meal costs between $2-$10 USD in Cusco. We stayed at two different hostels there, each for a little under $10 USD per bed, although one (Mama Simona) was much nicer than the other (Pirwa). If you are planning to stay in places outside the typical Machu Picchu towns and the nice area of Lima, I think you could easily stay in Peru for $40 USD per day. However, it’s not the day-to-day costs that will drain your bank account, but instead the long distance transportation, park fees, and guides that inevitably come with a trip to Peru. 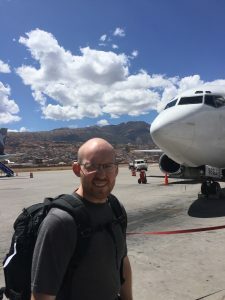 Peru is deceptively large, and to get from Lima to any other popular location, expect to spend 8-24 hours on the bus and spend at least $40-$70 per one-way ticket. If you want to avoid the bad roads and fly, plane tickets can cost quite a bit more. We spent $150 per person for a round trip flight from Lima to Cusco. Catching our flight back to Lima! We went wrong in budgeting for this trip by underestimating the costs of Machu Picchu. 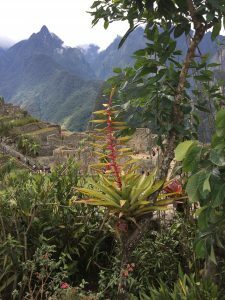 If you are coming to Peru to see Machu Picchu, budget a minimum of $425 per person just for the transportation and entry fees once you get here. 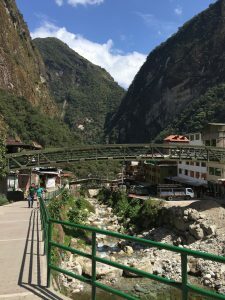 This will cover the cost of a flight from Lima to Cusco, a train from Cusco to Aguas Calientes, a bus from Aguas Calientes to Machu Picchu, entry fee to Machu Picchu, and a guide for Machu Picchu. It does not cover accommodation ($10-$20 per person each night), food ($25 per day), or taxi rides (varies- a taxi from Cusco to the train that goes to Machu Picchu is $10, and a taxi from the airport to town is often about $15). After speaking with people who did different Machu Picchu treks, the Inca Jungle sounds the best to me- it’s four days and includes mountain biking, zip lining, hot springs, rafting, hiking, entry to Machu Picchu, most meals, and some hostels for about $75 less than we paid to skip the trek altogether and go straight to Machu Picchu (because we paid for the train which is brutally expensive). My understanding is if you want to do the traditional 5 day Inca Trail trek, you’re going to spend at least $550 per person. I can’t write this post without bringing up medical expenses, since many of you know we skipped our planned treks due to my sickness and subsequent hospital visit. (See “The Nightmare of Machu Picchu” and “Machu Picchu- The Sickening” for the full story.) Although the hospital was especially unsanitary and very few of the staff spoke English, we were pleasantly surprised at the bill: $250 USD. This got me an overnight stay at the hospital, an IV with antibiotics, multiple tests, and a slew of medications. Not bad considering the same visit and medicine would have cost us at least $8,000 back home. Another thing I discovered once we got here is that there is a ton to do in Peru besides Machu Picchu. If you’re interested in hiking more, check out the popular Rainbow Mountain and Sacred Valley treks. There are also some other amazing destinations in Peru worth visiting: hike around the glaciers in Huaraz, tour the colonial town of Arequipa, explore the second largest section of the Amazon rainforest, view the Colca Canyon that is deeper and wider in sections than The Grand Canyon, or sand board in Huacachina. I only wish I hadn’t gotten sick and we had budgeted for more of these attractions in Peru, so we could tell you about them first hand. Hopefully you can learn from our mistakes. Make sure to budget at least $150-250 more per person for each of these additional attractions though, just to cover transport and guides if you need them. We may not have had very good luck in Peru, but hopefully we can be the exception and not the rule. If you go with a plan and a realistic budget, this country could top your list for destinations.